The world is full of urban legends, and the technological world is no exception. 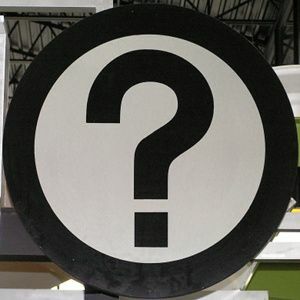 While device or software rumors usually make up the largest portion of these, they are temporary as any rumors are proven correct or incorrect whenever official announcements are made or when the device/software is actually released. However, there are always a few tech myths which are much more complex, and the truths about them are hidden deep inside the Internet. The first urban legend of the tech world is that Bill Gates supposedly said that 640K was more memory that anyone would ever need. Gates never actually said this, and was even quoted saying, “I’ve said some stupid things and some wrong things, but not that. No one involved in computers would ever say that a certain amount of memory is enough for all time.” Instead, the phrase came about when a Wired column offered free software to anyone who supposedly “remembered” Gates saying it. Either way, we all know by now that 640K is far from enough, and there’s no better way to fill up your memory with some of the best Windows software! Continuing on another Bill Gates myth, many people have claimed that Gates stole user interface elements from Apple for use in Microsoft’s Windows. 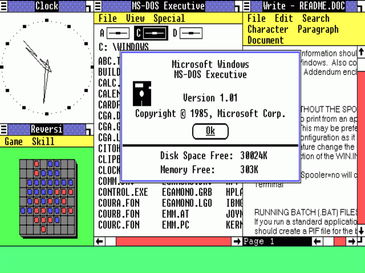 Many of the user interface elements, such as resizeable, overlapping windows with title bars, were actually licensed from Apple to be used in Microsoft’s Windows 1.0. However, Microsoft continued to use these user interface elements in future releases of Windows, and Apple complained saying that the license agreement lasted for only one release of Windows. During the following lawsuit, Gates claimed, “We’re saying that these graphic interface techniques, the ideas, are not copyrightable.” The judge eventually sided with Microsoft, so as far as the legal system is concerned, Microsoft stole nothing. Sadly, another common misconception is that Android is an entirely open source project. While it is certainly more open than iOS with plenty of great Android apps and Android games, there are a number of things which make Android less open source than we may believe. For example, phone manufacturers usually load their own custom user interface modifications to Android, which tend to be closed-source. Additionally, drivers need to be loaded onto the devices to support hardware such as the camera, and these are usually closed-source as well. Finally, just because the core operating system is open source, that doesn’t mean that any free applications are automatically open source as well. Last but not least, Linus Torvalds is commonly credited for the creation of the Linux operating system. However, this tech myth isn’t necessarily true. Torvalds is actually the creator of the Linux kernel — the package of software which take cares of core functions and communicates with the hardware. Linux operating systems are more properly called GNU/Linux, as all the software except for the kernel are collectively called GNU software — the desktop environment and any additional software installed on your computer are all GNU software. While GNU software is developed by the open source community, the founder of the GNU project is Richard Stallman. However, although it can be more properly called GNU/Linux, most people keep it short and simply call it Linux. There are also plenty of different Linux distributions, so it’s not just a single Linux operating system. There are plenty of tech myths out in the world, and the only thing we can do is bust them one by one. Hopefully you have learned a little more about these urban legends so can correct your friends next time they mention any of these and look smart while doing so. What other technological urban legends exist, and what’s the truth about them? Let us know in the comments, and don’t forget to provide sources to prove that you’re correct! "Linux operating systems are more properly called GNU/Linux, as all the software except for the kernel are collectively called GNU software — the desktop environment and any additional software installed on your computer are all GNU software"
Not all software in "Linux" is GNU/Linux. In fact there are operating systems that use the Linux kernel which are completely free of GNU software. "the desktop environment and any additional software installed on your computer are all GNU software"
What? I have Xorg, LightDM, and Xfce - which I consider making up most of my desktop environment - these are not GNU software! Although arguably Flash doesn't count as part of the OS itself. LOL! Why Gates got away with ripping off Apples ideas? Ties to big money! Pretty cool, especially about Linux!!! Good little article, though the Linux one I think anyone who actually thinks that actually knows the difference between the Linux kernel and the GNU's. There are a good amount of people who have Linux installed on their systems because someone put it on there for them. They, for example, wouldn't know. There's plenty of other groups who would possibly not know. WTF. Android is not open source because some of the apps aren't ????? Most of the apps are not open source. However, this is about the operating system: Android. An operating system is normally a software collection of the following: the kernel, the drivers, operating system utilities. It's a fact that not everything in this collection is open source, so simply stating "Android is open-source" is incorrect. Google Play itself is not open source, and this is not a singular case. So "duh" right back at you. Read about it and voice your opinion after. That's silly. That's like saying 'linux' is not open source because a particular linux distribution includes some binary blob driver. The actual correct wording is: Android is open source, most Android *distributions* are not fully open source, the inclusion of Google Play is an example of that. Linux was undoubtedly based on UNIX, and UNIX was developed as a single user OS based on Multics. Multics was developed as a project run by MIT, with GE and Bell Labs contributing. Multics was a highly secure operating system. More secure that most current day OSs. It achieved the B2 'Orange Book' rating as defined by the DOD Trusted Computer systems Evaluation Criteria. The only other OS to get anywhere near this was ICL's VME (Virtual Machine Environment). And given the many other people who contribute to Linux and GNU, "attribution" of the OS in general is both misleading and a waste of time. As for Microsoft and Apple, one can use the word "stole" in a non-legal sense referring to the conceptual origins of something. So nitpicking that there was no legal statement that Microsoft "stole" Apple interface components is also misleading and a waste of time. How about addressing the issue that Microsoft "stole" DOS from Seattle Computer Products. Legally there was no "theft", either, but it was certainly some slick practice on the part of Gates. One might also address the myth that Gates "invented" much of Microsoft's software whereas it was Paul Allen who did most of the actual programming. If we're going to pick on Linus, I think Gates deserves equal time. With regard to the "bug", one can say this was the first time the word "bug" was used in connection to an actual computer, i.e., "computer bug", rather than merely algorithms. Lovelace referred to errors, not bugs, and obviously anything can have errors. Finally, I'm not sure who believes Android is COMPLETELY open source. I never have and I can't remember anyone saying it is, although it's certainly possible some people do. In short, I find "nit-picking" and "myth exploding" generally misleading and irritating. Most of these alleged "myths" aren't particularly so, not in comparison with "Saddam had WMDs" and "Saddam supported Al Qaeda" - or worse, the current myth that Iran has a nuclear weapons program. Those are REAL myths believed in by a large percentage of the US population. Microsoft did not stole DOS from Seattle Computer Products. The DOS was a Junk for Seattle and so Microsoft bought it from them to sell it to IBM. Some good debunking here.I enjoy seeing records being set straight.Its annoying seeing people that you admire or dislike being credited or discredited with info that is untrue. "[T]he desktop environment and any additional software installed on your computer are all GNU software." I thought the desktop environment was handled by X11, which is *not* Gnu, but developed by the X.Org Foundation? I doubt any entire distribution is entirely GNU on top of the Linux kernel; for example, many distributions have their own specific package manager, both command line and GUI; most ship with a version of Firefox, Chrome, or some other web browser, which aren't developed by GNU; etc., etc. True. But most of that software is licensed with the GNU GPL, which allows "GNU/Linux" activists to use that argument. They want people to call it GNU/Linux instead of Linux, but if they do that far they might as well called it GNU/Linux/Xorg/GNOME/KDE/Firefox/LibreOffice/etc. And *that* they don't want to do. I think the Android part is a little misleading. The Android Open Source Project (AOSP) is indeed open source. It is true that on any given Android device you will find lots of proprietary software. First of all Google's cloud services are not open source, and second most of the manufacturer developed drivers are also closed. But the OS itself is open source. Its like saying Joomla or wordpress is not open source just because someone creates a plugin that is protected. The fact that someone can take Android and create a paid and closed source app or driver based on it shows how truly open source the OS is. Not the same case with other OS. A good amount of people consider Android to be more than just the operating system, but instead the entire ecosystem. With that section I mainly wanted to show where the line between open and closed source is usually drawn. I assume that you are randomly responding to Richard Steven Hack. Good analogy. Except Apple agreed with the neighbor (Xerox) that they would use the TV set in exchange for Apple stock. Gates wanted to use Apple's improved TV and was refused. So he just stole it. Linus Torvalds indeed, did not create the whole concept of Linux Operating System, it's rather an idea he have gotten during his university years of his familiarity using Unix and decide to use this base for the kernel he's creating. Through apparent facts, Apple's infamous "one-click" mouse wasn't their original idea since it was derived from Stanford University that came upon this concept. You can also take notice that Steven Jobs and Bill Gates are dropouts from their educational career while Linus completed pursuing his own. Well, what a surprise. As far as I know, Jobs and Gates dropped out because they had prime opportunities awaiting them, leaving little reason for them to remain in school. They said they are wasting their times on irrevelant classes and instead took the high road to the riches. I don't blame them, most students today wanted to become like them right? Earn savings that could be send more than one lifetime? Regarding the GUI... Microsoft legally stole nothing. And neither did Apple. But both were certainly 'heavily inspired' by Xerox. Another incorrect implication I'm afraid. Xerox did inspire many of the ideas (although overlapping windows were an Apple enhancement) - and Xerox received Apple stock for their contribution (during Mac development, not after the fact in some settlement). The mouse has been used by everybody, but, like Richard said, Xerox allowed its use by Apple in exchange for Apple stock. Ideas alone are not patentable. The means of accomplishing the idea are. Microsoft stole the ideas, but implemented it slightly differently. Gates begged Jobs to get in with the Apple concept and was refused. So he went and created his own empire based on a rework of the Apple ideas.